Chelsea striker, Alvaro Morata, is set to leave the club and manager Maurizio Sarri, has identified Mauro Icardi and Patrick Cutrone as possible replacements. The Blues have lost patience with Morata, who they signed from Real Madrid for £65million in summer of 2017 and are looking for a new frontman. 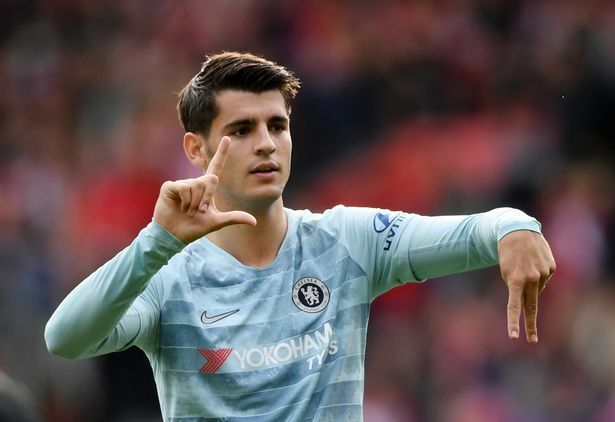 Morata scored 15 goals in 48 appearances for the west London outfit last season and has found the net only three times in seven outings so far this term. Inter Milan star Icardi is said to be the Blues’ No.1 choice to replace Morata in January, The Sun reports. However, if a move for the Argentine fails, Sarri is also reported to be interested in AC Milan prospect Cutrone. Chelsea have been quoted £90million for 25-year-old Icardi, who has scored five goals in eight games this season. Cutrone, also linked with a move to Tottenham, would likely cost somewhere in the region of £25million.